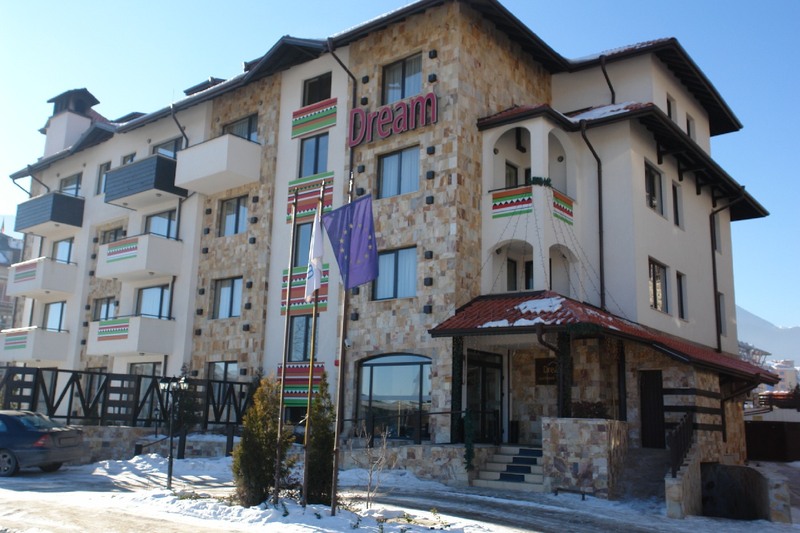 HOTEL FACILITIES: two elevators, lobby bar, car park, ski rental, room service, SPA centre with indoor swimming pool, sauna, massages; restaurant, secured underground parking. The hotel comprises 1-bedroom and 2-bedroom apartments. Each apartment has TV set with cable TV, telephone, safety vault, kitchen equipment, refrigerator, balcony, bathroom and hairdryer. APARTMENTS 1 bedroom: 50-55 m², one bedroom with regular beds or French bed and living room with kitchen corner, TV, dinning table. APARTMENTS 2 bedrooms: 75 – 105 m², two bedrooms with regular beds or French bed and living room with kitchen corner, TV, dinning table.